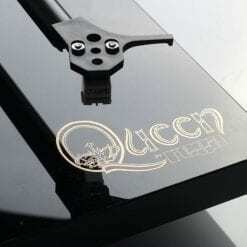 Rega is proud to have been approached by legendary rock band ‘Queen’ to produce a limited edition (fully licensed) turntable. 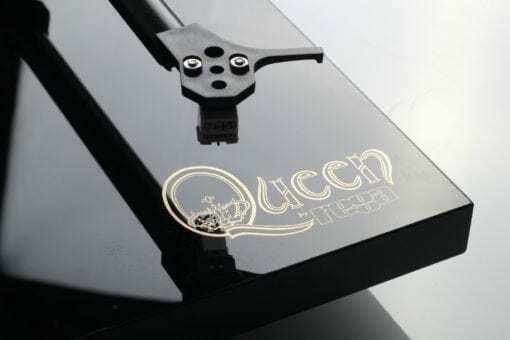 The design of this unique custom turntable includes reproductions of classic Queen logo’s, and incorporates the tonearm technology of the multi-award-winning ‘plug and play’ Rega turntables. 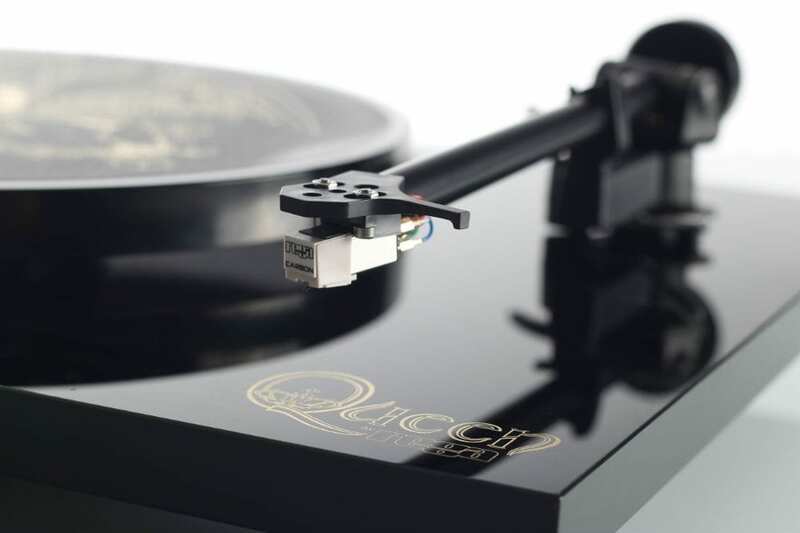 Turntable features: The Queen turntable is a brand new product designed specifically for ‘Queen’. A custom designed high gloss acrylic laminated plinth silk screened with ‘Queen by Rega’ logo. Silk screened ‘Queen crest’ platter from artwork created by Freddie Mercury. Hand built RB101 tonearm. Factory fitted Rega Carbon moving magnet cartridge. Low noise low vibration 24v synchronous high performance motor. Queen dustcover lid badge. Each Queen by Rega turntable is individually numbered and is Made in the UK. 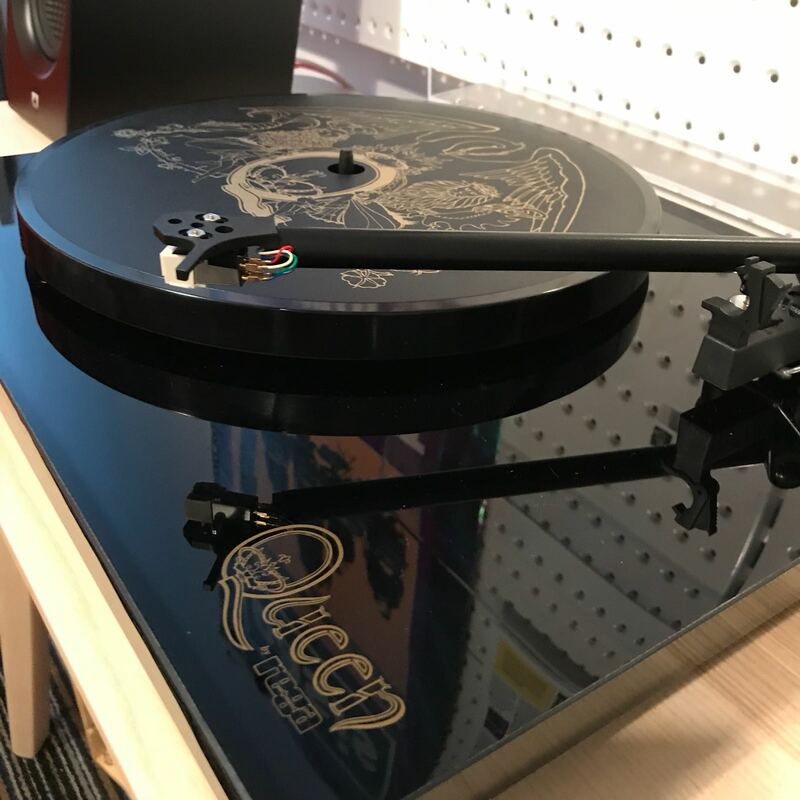 The Queen by Rega turntable is easy to put together and is set up in seconds. 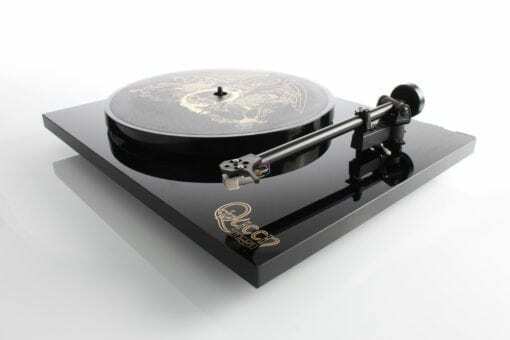 The Queen by Rega turntable sits between a Rega P1 and Rega P2.